Tried-and-tested multi-grip technology for extended mileage and maximum grip in extrem lean angles. Outstanding handling properties due to an optimized contour. 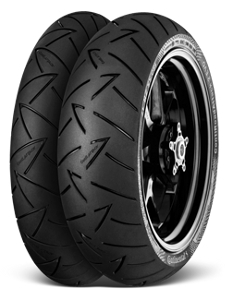 GT version with an additional ply in the carcass of the rear wheel, designed to meet the higher loads of heavy touring motorbikes.